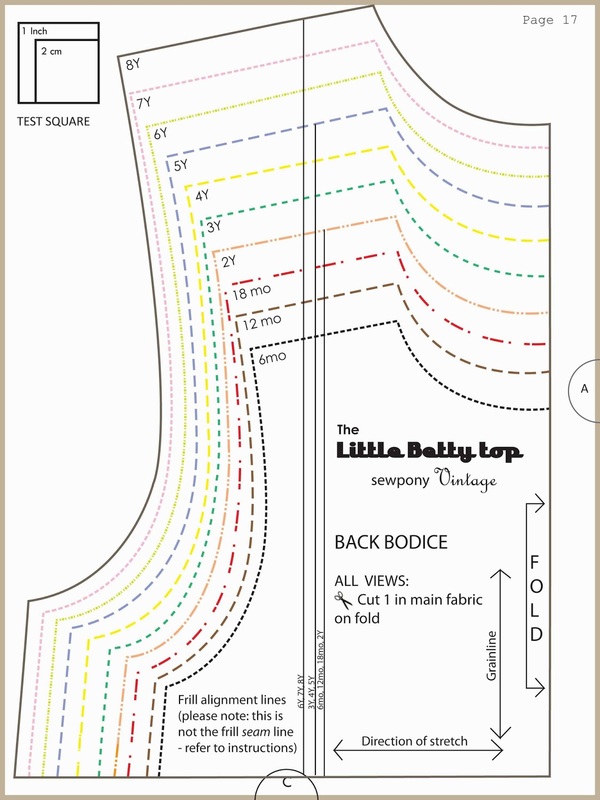 I am excited today to release my second pattern: The Little Betty top!! I have had seventeen wonderful testers working behind the scenes over the past couple of weeks to help me improve my pattern. You can read more about my pattern and view more photos here. The Little Betty top is a 1970's inspired knit design that has three views: Long sleeved, short sleeved and sleeveless. It features wide banding and a gathered frill over the bodice. It closes with a button and loop closure at the centre back. I can't wait to see all their lovely creations, starting next week! 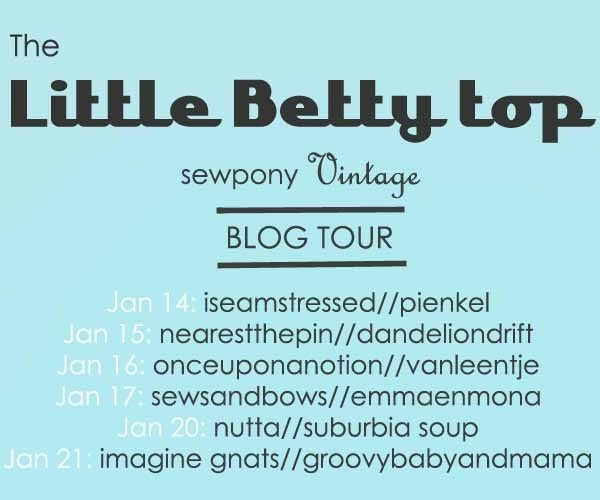 To purchase The Little Betty top, you can visit my etsy shop HERE! To celebrate the release of my second pattern, it will be on sale until the end of the weekend. 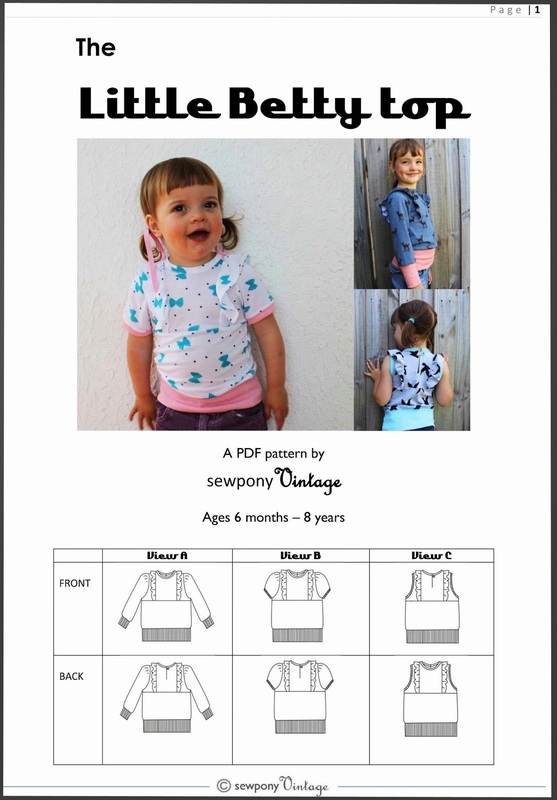 You can enjoy 20% off the price of all sewpony Vintage patterns by using the code: LITTLEBETTY1 at checkout. 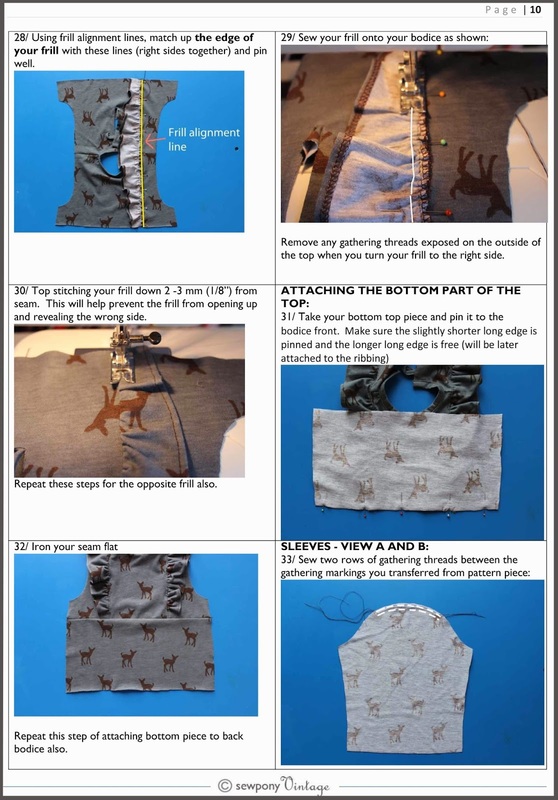 It's such a cute a fun sew! I can't wait for the tour! Oh, this is just too cute Suz! Congrats on the new pattern! Congratulations on the release! It's such a cute pattern. Looking forward to seeing everyone's versions on the tour.